During our science class, we are very much aware of what chlorophyll is â€“ the responsible for the green color of plants. Chlorophyll absorbs energy from the sun and facilitates photosynthesis in plants. Its unique ability to convert the energy of the sun through photosynthesis is used to make carbohydrates from water and carbon dioxide. Likewise, no one can argue about the health benefits of green vegetables which have high concentrated chlorophyll component. Nevertheless, have you ever heard the other characteristics of chlorophyll which is quite similar to human red blood cells or heme? Aside from what we have heard about the scientific description of chlorophyll, there are lots of interesting facts to know in order to understand completely the biological relationship between chlorophyll and heme. The chlorophyll molecules have similarity to human blood. The only difference is that the central atom in human is iron, while it is magnesium that is the central molecules of plants. The groundbreaking research was revealed as early as 1926 by Charles Schnabels when he studied about cereal grasses and the possible relationship of the component of pheophytin in chlorophyll and the hemoglobin of human. After that remarkable discovery, there were subsequent researches conducted to variety of animals for further confirmation on the claim. All the findings were boiled into one conclusive finding: the chlorophyll is acting like physiological stimulant of the red blood cells in the bone marrow. It was in 1936 when Dr. Arthur Patek reported the fascinating results from the study done with fifteen patients who were diagnosed of anemia. They were asked to take different amounts of green foods along with iron. The level of blood hemoglobin and the number of red blood cells increased faster than with taking iron alone. Therefore, based on the irrefutable reports, the chemical perspective of chlorophyll is similar to chemical structure of red blood cells. Have you wondered why green is the color associated with chlorophyll and not red or orange? The magnesium which is the central molecule of chlorophyll contains special ring shaped formation which captures wavelengths of light but green is not captured. So, the overall effect of green color is reflected back to our eye. The magnesium provides high alkalizing effect on the body that delivers essential oxygen to body tissues and cells. Please take note that when green vegetables are cooked, the magnesium removes from the center of the molecules and replaced by hydrogen atom causing some vegetables turned into olive-gray color. Letâ€™s take for example the studies conducted to broccoli. The two thirds of the chlorophyll content of broccoli were removed after 20 minutes of boiling. The Worldâ€™s Healthiest Cooking suggested technique in preserving the concentrations of chlorophyll present in green vegetables through short steaming times. Nevertheless, the best way to eat these vegetables is in raw form to obtain the complete health benefits of chlorophyll. There are several reasons why green foods are considered as blood-building foods because of the similarity in structures of the two colored pigments, the red heme and the green chlorophyll. 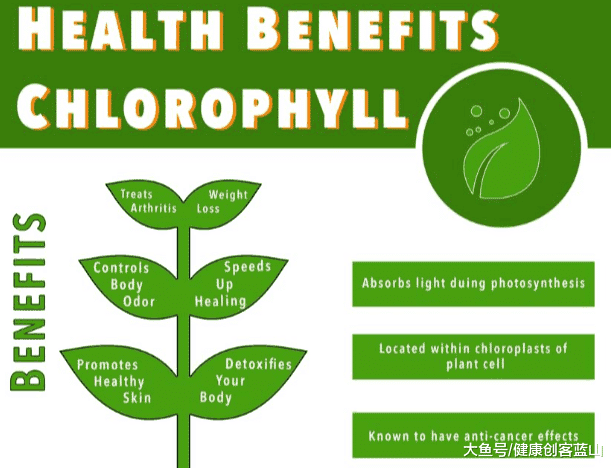 Here are the lists of health benefits we can get from chlorophyll. 1. 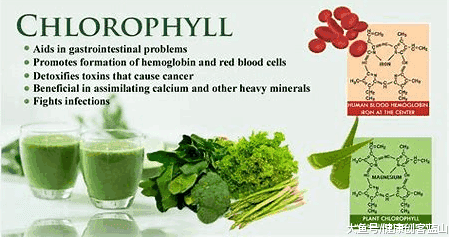 Chlorophyll is the best aid in gastrointestinal problems. Refined, low fiber and and animal fats contribute to major diseases start in the colon. Gastrointestinal problems can be best treated by improving the digestion and assimilation. Among those natural nutrients that heal the intestinal track, green vegetables high in chlorophyll content aid in loosening and cleansing the colon. 2. Chlorophyll Promote formation of hemoglobin and red blood cells. Hemoglobin is the iron-containing substance that provides red blood cells their red pigment and transports oxygen to the body tissues. In fact, we may not realize that our blood is composed of 75% of hemoglobin. If the central atom of blood is iron, how chlorophyll helps in the formation of red blood cells? As we digested green food, the magnesium helps in rebuilding and replenishing the red blood cells which is responsible for boosting our energy. 3. Chlorophyll treats bad breath. Bad breath is caused by oral bacteria that reside in a personâ€™s mouth and it excretes odiferous waste products. The sulfur compounds of waste products usually lie at the root of breath odor problems. With the double action of chlorophyll, it acts as deodorizer that eliminates bad odor and reduces the stringent smell of urine, infected wounds and feces. 4. Detoxify toxins that cause cancer. 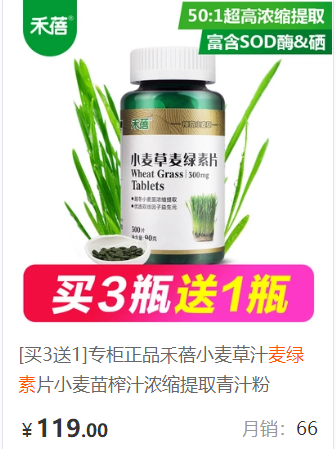 Researches found that the damaged genes caused by carcinogen substances can be prevented by chlorophyllin, a derivative of chlorophyll wherein the magnesium is removed and replaced with copper. It reduces the binding of carcinogen from foods like cooked meat products that damage the DNA and other organs of the body particularly the liver. 5. Beneficial in assimilating calcium and other heavy minerals. Chlorophyll is very easy to absorb and assimilate. It is so amazing how it gets into the bloodstream so fast with the least amount of digestion that saves more vital energy. Not only that, cataract cases which is same as an arthritic formation, the hard calcium has come out of solution and becomes milky so that patients cannot see clearly with their cataract condition. Again, chlorophyll can assimilate calcium and balance other trace minerals to rebuild, replace, and exchange with the new tissue. It is the antioxidant and anti-inflammatory compounds contain Vitamin A, C and E that are responsible to reduce inflammation. In connection to this, the healing aspects of chlorophyll were reported in 1940 by Dr. Benjamin Gruskin. With this vitro experiments, it showed that chlorophyll possess bacteriostic property that kill harmful bacteria. Moreover, the antiseptic properties of chlorophyll have the ability to kill germs by strengthening the tissues. Chlorophyll is available in forms of tablets, fluid and powder extracts, infusions and tinctures. Some nutrition practitioners are recommending 100 mg of chlorophyll that should be taken at least 2-3 times daily. This is to clarify that chlorophyll is not considered as essential nutrient. 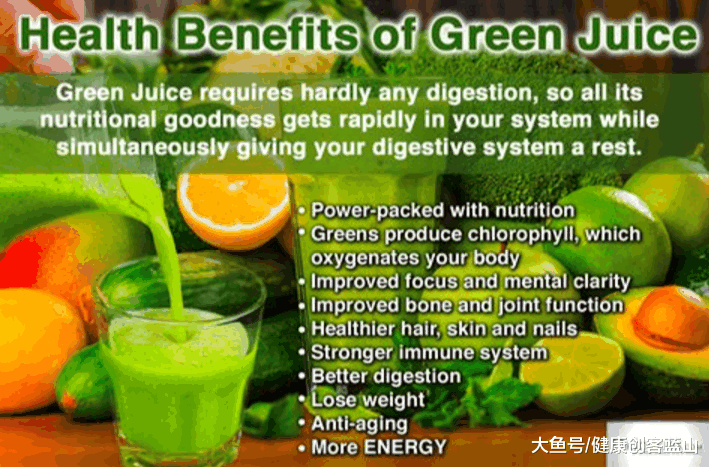 Nevertheless, people are lacking of green foods in their daily diet are lacking of enough chlorophyll, and therefore advised to add chlorophyll in their diet. For so many years spend in researches, the health benefits from vegetables with chlorophyll have value and considered as blood builders. The nutritious elements are absorbed and aided the blood reserve necessary to the formation of hemoglobin. While it is true that green is prevalent in nature, same thing goes with green acts as our source of life and energy that builds our wellbeing.